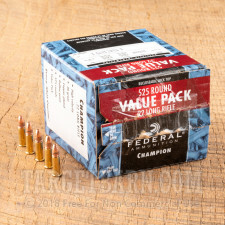 This 22 LR cartridge is from Federal’s Champion line of ammunition, a versatile solution for all your plinking, target shooting, training, and competition needs. 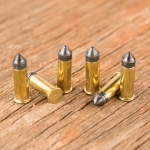 The round’s 36 grain projectile is 10 percent lighter than what’s most common for its caliber, which gives it a flat trajectory for laser-like accuracy. 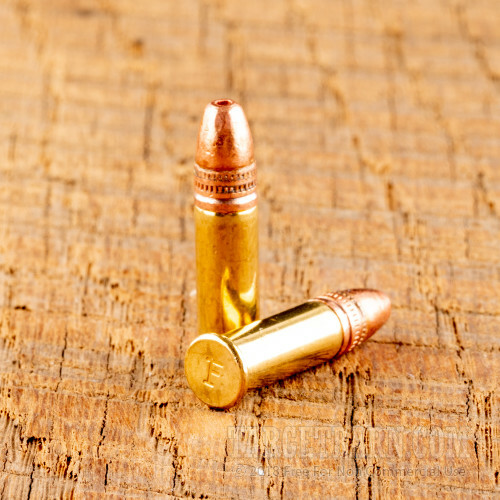 The bullet’s copper plating will shield your bore against lead fouling, so you can enjoy longer stints of accurate shooting before it’s time to uncap the Hoppe’s. 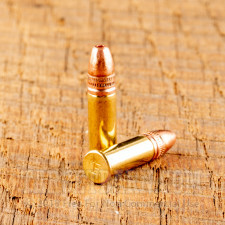 Finally, because of this bullet’s hollow point it’s in no way incapable of dropping America’s most fearsome game animals, including the ferocious Olympic marmot, the bloodthirsty eastern chipmunk, and the sanguinary Idaho pocket gopher. 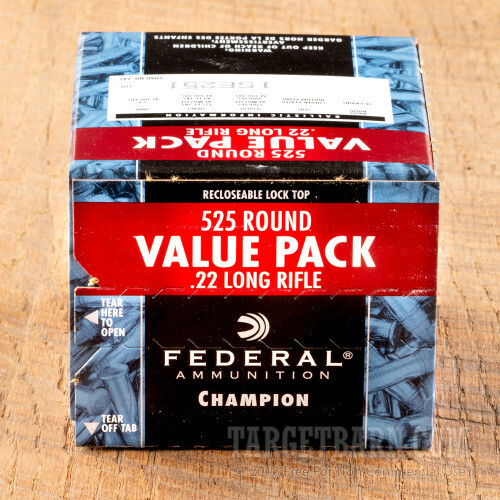 Federal doesn’t let ammunition leave their factory doors until it’s been outfitted with the best components. 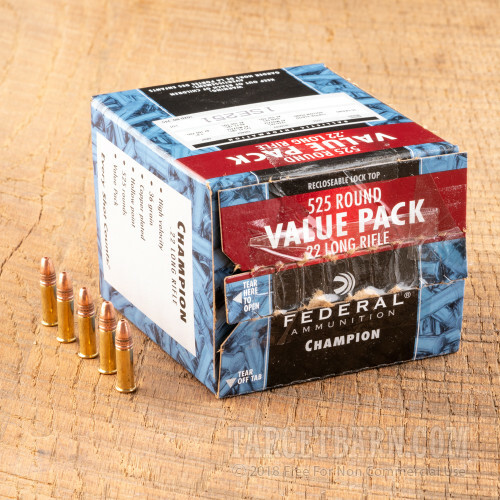 This cartridge’s brass casing, reliable rimfire primer, and fast-igniting propellant are all worthy of the Champion name. Once you’ve fallen in love with this round, check back with TargetBarn.com for a case of 5,250 of them!